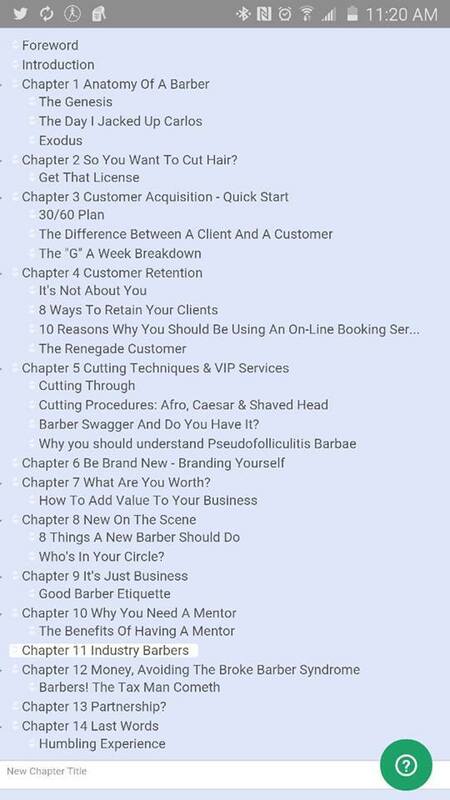 Slated to be the go-to book for barbers and stylists seeking success in the hair industry today, Al Reid, better known as “Alsmillions”, covers everything from identifying the special abilities of barbers to how to build a productive clientele from just 5 clients. As a master educator, CEO and entrepreneur, Al digs deep into the wealth of his over 26 years of experience to share with you, the major factors that gives a barber or stylist true success in this competitive field. No fluff here. Al shares “wisdom without the pain”, an invaluable tool to have as you build your hair business. 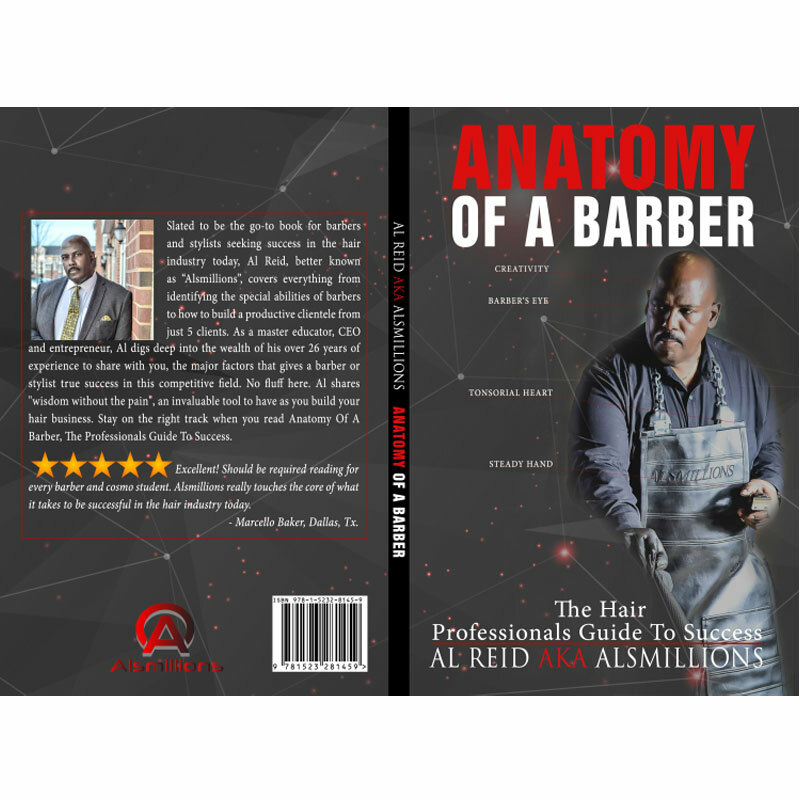 Stay on the right track when you read Anatomy Of A Barber, The Professionals Guide To Success. Get your ebook and PDF copy TODAY. (Amazon, Kindle, Barnes & Nobles, Nook, ibooks on iTunes and moreBook comes directly from the publisher and it will not be a signed copy. 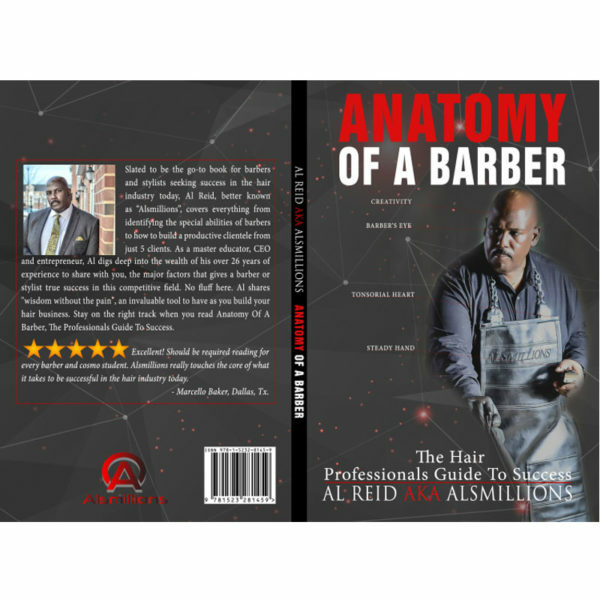 Anatomy Of A Barber, The Hair Professionals Guide To Success is not just for barbers only. It’s just written from a barbers point of view. Anyone looking to enter the field or go to the next level should read this book. If you need more clients, it’s written for you. If you feel you’ve reached your ceiling and there’s no where else for you to go, it’s written for you. You feel like your business is running you and you can’t seem to get a grip on true success, this book is definitely for you. I systematically take you through the steps for longevity in the hair business. This book will change the way you see the hair industry and give you a new thirst for the same clients you’ve been servicing for years. Above all, it will show you how to take your business wherever you want to take it. I’m a CPA and MBA with a lot of education to back me up. I work a 9 – 5 job and dream of owning and running my barbershop one day soon. This book was an excellent read about barbering in general including the business of barbering. Al talks about the profession, marketing, sales, retention and longevity. He actually gives you strategies and proper tips to use in your own business. I got a ton of ideas and it also got my mind working and asking questions in the right direction. I recommend the kindle version because I highlighted sections as I went along which will make for easier research the second time round. Very good advice for new and existing barbers and definitely worth the money. Very pleased. I recommend this book for anyone looking for solid advice on a barbering career. A must read for the aspiring barber!